"I want to say it looks like fog, but because of the red glow behind everything, it looks like nothing you've ever seen until you've been in a fire." 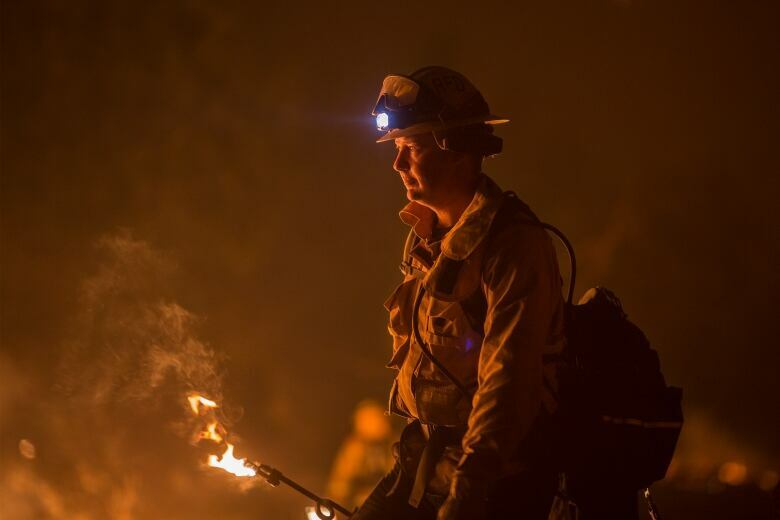 Firefighters are struggling to contain the so-called "Thomas Fire," the largest of six major wildfires tearing through southern California. 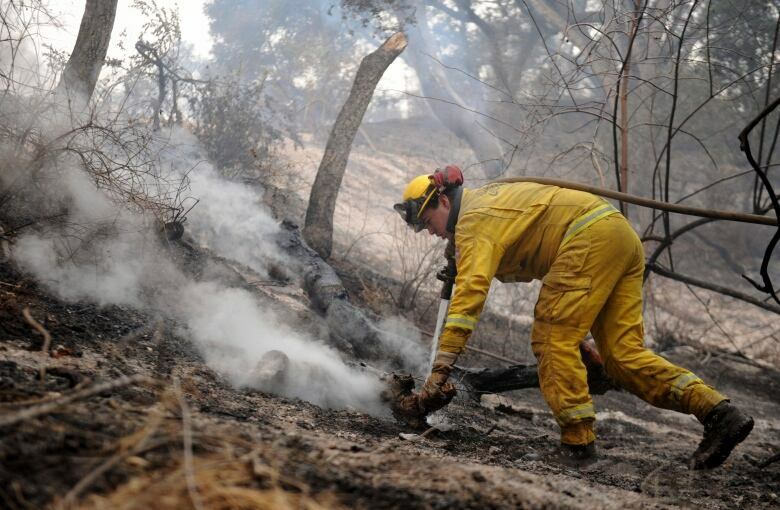 It has torched hundreds of buildings and charred an area larger than New York City, threatening Ventura County, about 160 kilometres northwest of downtown Los Angeles. 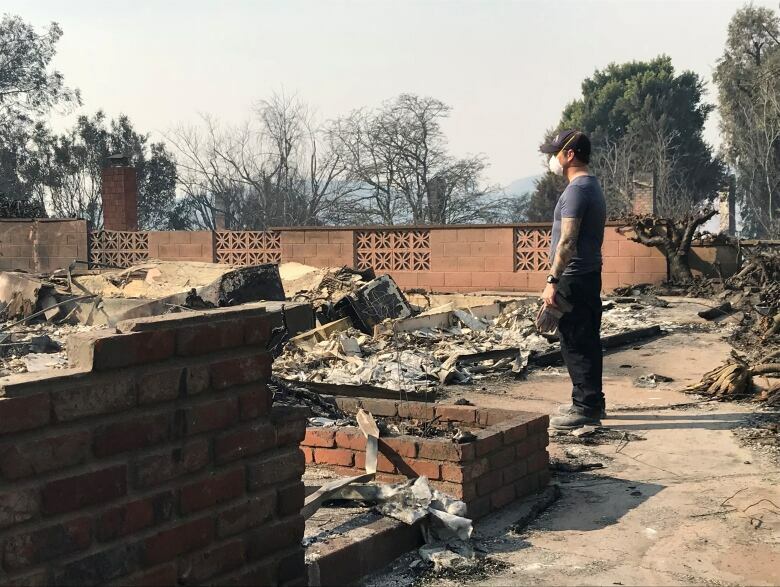 It's how Taylor Stanley, manager at Esau's Cafe in Carpinteria in Ventura County, describes the scorched areas left by wildfires. "It looks like just nothing. It's just miles and miles and miles of nothing — just black, white ash." "I want to say it looks like fog, but because of the red glow behind everything, it looks like nothing you've ever seen until you've been in a fire," Stanley tells The Current's Anna Maria Tremonti. Authorities ordered residents in Carpinteria to evacuate as the Thomas Fire edged closer to the coastal city of Santa Barbara, but Esau's Cafe remains open. "We're used to fires. Nothing — I'm 65 — nothing in my lifetime, and friends of mine who were in their 80s, have ever seen anything like this." California Governor Jerry Brown, who surveyed the devastation in Ventura County this weekend, called it "the new normal." Edward Struzik, fellow with the Institute for Energy and Environmental Policy at Queen's University, agrees. "This is a challenge — a global challenge," says the author of Firestorm, How Wildfire Will Shape Our Future. "The world is seeing fires burning bigger, hotter and faster, and the hazards are changing, and we're just not adapting fast enough." Struzik says fires are part of nature, but climate change is leading to a longer fire season and more intense wildfires. He lists situations that could spell disaster down the road for many communities. For every one degree increase in temperature, you're going to need 15 per cent more rainfall to restore the balance of moisture in a forest, according to Struzik. Rising temperatures intensify drought and the spread of tree-killing diseases and insects such as the mountain pine beetle, he says. "That makes forests more vulnerable to fire." And, the warmer it gets, the more lightning there will be, adds Struzik. There are "several studies that suggest we're going to see 50 per cent increase in lightning strikes this century, and in the case of places like California, Alberta, B.C., where you have mountains — when it gets warmer, it also gets windier." Struzik also considers wildfires a public health issue. 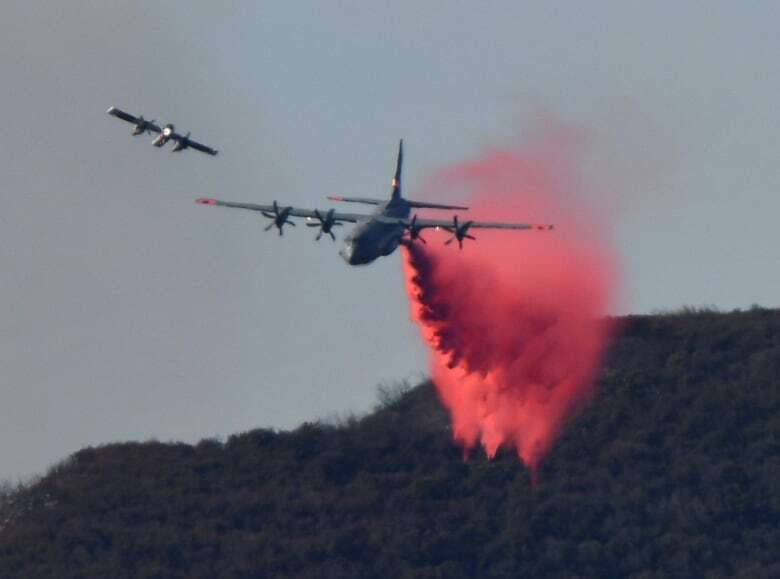 He says California's experiencing "a toxic mix of hydrocarbons and chemicals" that come from a wildfire and from burning buildings. "Most people don't understand that the chemicals that you find in tobacco are all pretty much present in wildfires smoke." He points out, however, that California has restaurants with air filters that people can seek refuge during the daytime. "We really don't have much of that in Canada," says Struzik. "You could close the windows all day long. Unless you had air filters, you couldn't escape it." This segment was produced by The Current's Idella Sturno, Samira Mohyeddin and Donya Ziaee.